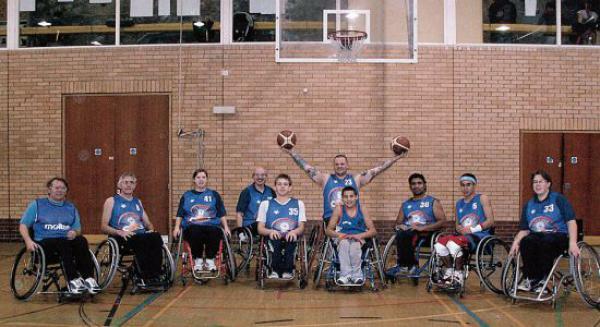 The Leicester Cobras Wheelchair basketball club was formed in 1992 to promote the development of wheelchair basketball in Leicester and Leicestershire. In 2007/8 Leicester Cobras ran 22 development sessions at schools and community projects introducing an estimated 500 people to wheelchair basketball. In competition, 2007/8 has been their most successful season ever, winning 11 out of 12 league games and gaining promotion (for the first time in club history) to Division 2 in the Great Britain Wheelchair Basketball Association (GBWBA) league. 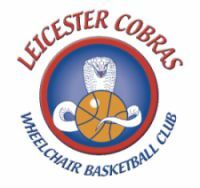 With a strong, enthusiastic and experienced management team, together with 23 registered players and an extensive community program, the Leicester Cobras wheelchair basketball club sets out its vision, within the next 3 years, to become the strongest, best supported and most professional wheelchair basketball club in the East Midlands area. This will be accomplished by capitalising on the strengths of the members of the club (management and players), working in partnership with Leicester City Council / Leicestershire-Shire and Rutland County Sport Partnership (CSP) / GWBWA / English Federation of Disability Sports (EFDS) / the media and various sponsors. Looking at how wheelchair basketball links into various National initiatives (i.e. the 5 hour offer / Playground to Podium), and the once in a life time opportunity that the London 2012 Olympic / Paralympic Games, (and the 2010 World Championships of wheelchair basketball in Birmingham), bring. The Leicester Cobras have an excellent blend of youth and experienced wheelchair basketball players, with 2 members representing Great Britain at under 23 level, 3 players having a wealth of experience having played for top wheelchair basketball clubs in Great Britain, (including Milton Keynes Aces, Capital City Jazz and Nottingham Jaguars), and a further 4 juniors and 4 women joining Leicester Cobras squad in the last 2 years. This plan will support players and coaches to develop their pathway to the very highest levels in wheelchair basketball. All of the club members live within a 15 mile radius of Leicester, making it a truly local club that is run by local people and supported by local originations for the benefit of the local community. The projected cost for Leicester Cobras to run 2 teams is £12,000 per year (this includes hire of facilities / referees / coaching / administration / travel expenses and refreshments for away teams etc). Income is derived from subscriptions, (approximately £3,000), sponsorship, (approximately £3,000 for 2008/9) and a variety of fundraising projects. For Leicester Cobras to fulfil its 3 Year Plan it will need additional funding and support.